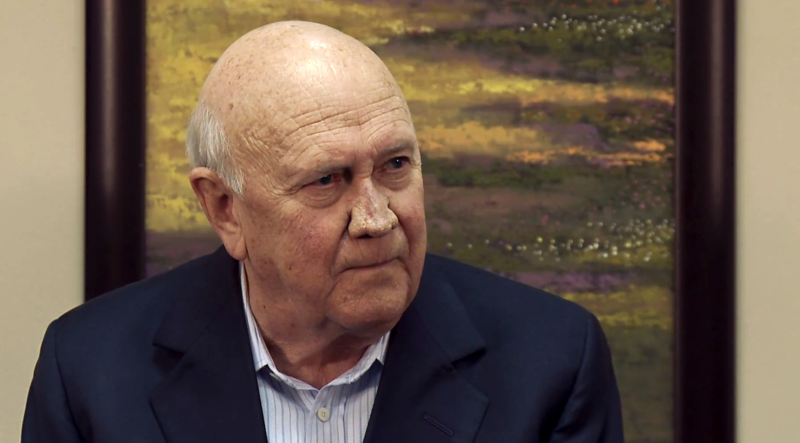 An interview I filmed with the former President of South Africa, F.W. de Klerk. Interview conducted by the students of Mount Madonna School. While there is a separate post on this site for Mount Madonna videos, I thought I would put this one separately as it was an interesting interview and it turned out great. I film a lot of interviews like this. He gives a great history of South Africa and Apartheid in the first 20 minutes or so. We got the lighting set pretty nicely I thought. Lowel lights. Filmed on 3 Sony EX1 cameras. Final interviews at the end filmed with a Nikon DSLR. Sennheiser wireless lav mics.